We love the Monterey Bay Aquarium! Although the membership cost was a little steep for our family, my husband and I agreed that in addition to wanting our family to visit regularly, we also felt great about our money supporting the Aquarium's awesome mission: to inspire conservation of the oceans. 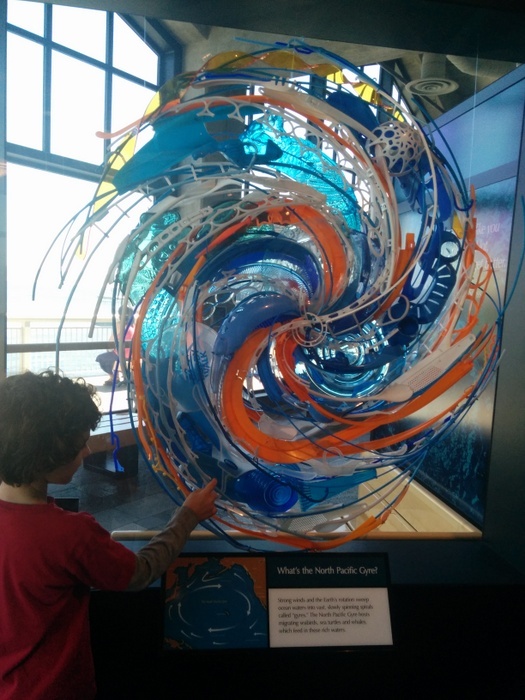 Through our regular visits, my husband and children and I are all learning a ton about ocean life, and most certainly developing a deeper appreciation of the ocean: its beauty, its enormity, its mystery, its diversity, its fragility. After visiting the Aquarium, our next trip to the library often results in us leaving with a tall stack of books about aquatic critters. 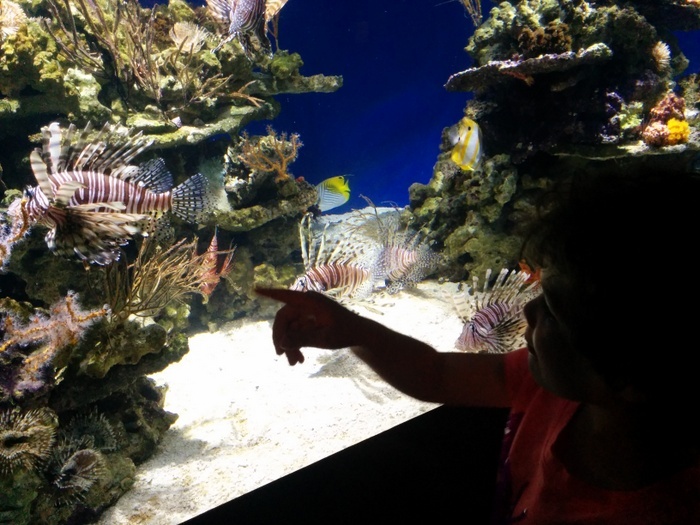 One of my favorite parts of the Aquarium is how it facilitates discussions with my children about environmental stewardship. 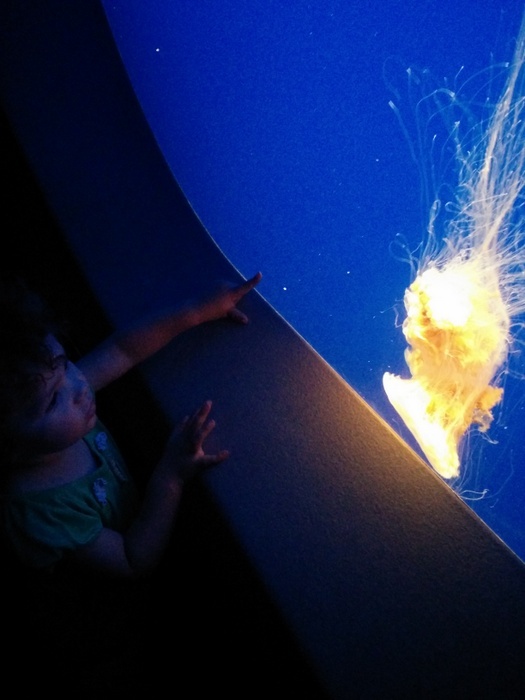 We make a lot of choices in our family that go against the grain of our general culture (taking reusable water bottles everywhere, using cloth diapers, buying almost all our produce locally, choosing quality wooden toys over less expensive plastic ones), and the Aquarium allows me to easily explain to my kids some of those choices. "Single-use plastic items make up most of the trash in the oceans." This display encouraged people to switch from single-use plastic water bottles (pictured) to reusable water bottles. 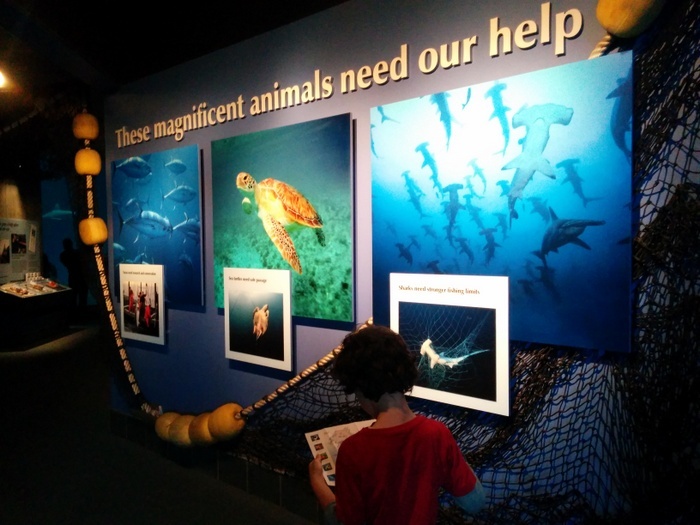 I love how environmental education is woven into exhibits throughout the Aquarium, in addition to exhibits and displays devoted specifically to environmental issues. 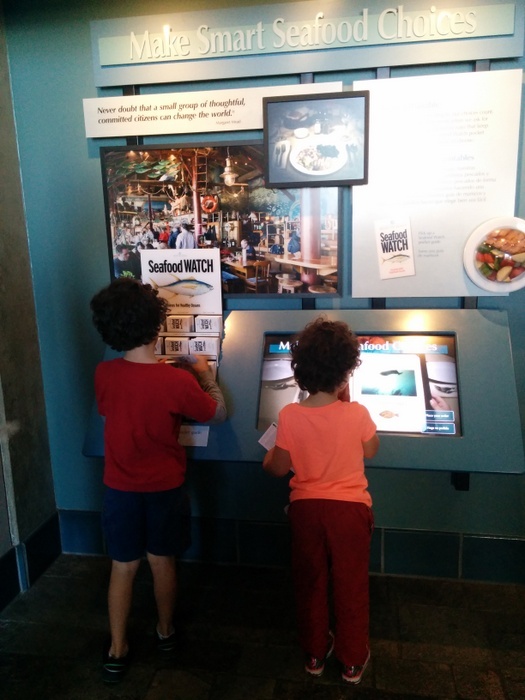 Love the Aquarium's Seafood Watch program: an easy way to identify safe and sustainable seafood! Octopuses need clean water too. 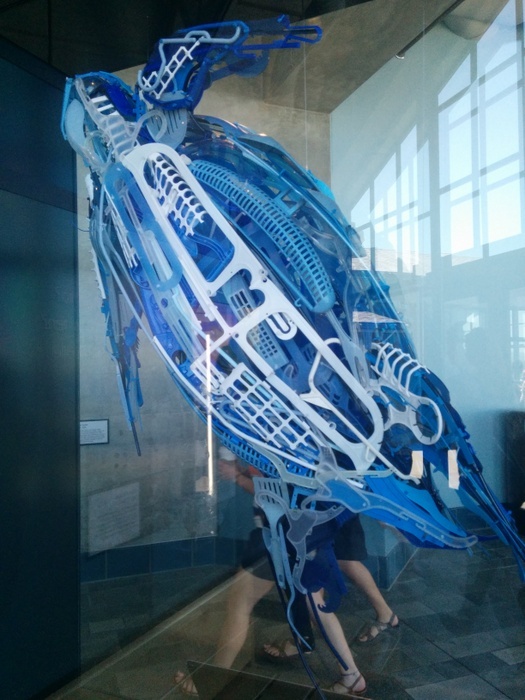 The sculptures "made from everyday plastic items that frequently find their way into our waterways and into the oceanic food web" are especially stunning and thought-provoking. What is the North Pacific Gyre? 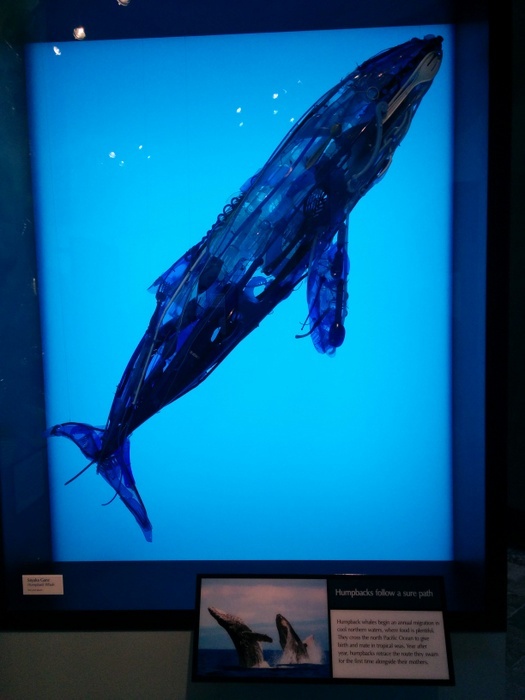 Humpback whale made of plastic trash. But I do have one complaint: I was disappointed in some of the merchandise offered in the gift store. We usually skip the stores entirely (since no purchase is usually the greenest purchase), but on one of the member discount days we decided to let our kids pick a shirt (PR for the Aquarium and the ocean!) or a book. They all picked a book. But to get to the books (at the back of the store), my kids had to pass all kinds of cheap plastic toys and souvenirs. My 3-year-old in particular had trouble passing these up. They were front and center and right at her eye-level, and I was probably lucky that she didn't throw a fit that day when I told her I wouldn't be buying any of the squishy brightly-colored plastic animals or other doo-dads. Not only do I pass up these types of toys because I think they are a waste of resources and money, but also because as a parent of young kids I have concerns about exactly what those plastic toys are made of. "Even though a beach may look trash-free, the next retreating wave reveals tiny plastic bits." When we visited the Aquarium a month ago with my daughter's Kindergarten class I noticed that many of the kids' parents did purchase the cheap plastic souvenirs (some featuring the Monterey Bay Aquarium logo), and some of those purchases had broken before they even boarded the bus to return to school. I would bet that the vast majority of those cheap toys and souvenirs were broken or forgotten or in the trash within a month. 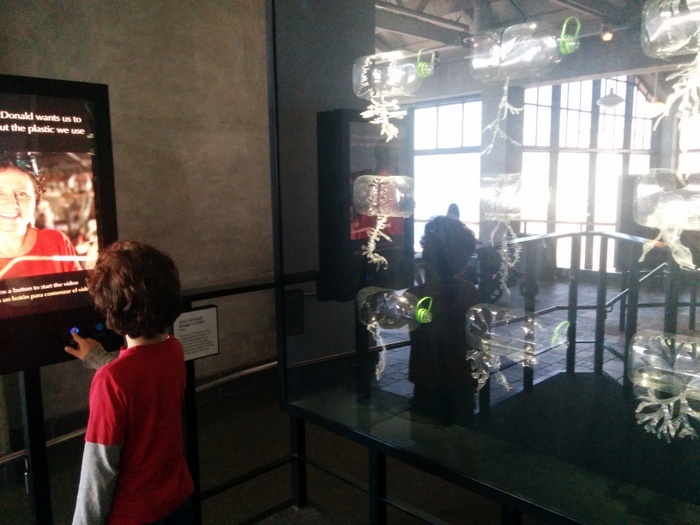 My son watching a video about plastic garbage next to a display of sea creatures made from littered 2-liter bottles. Now I understand the Aquarium wants to raise money, and I also understand wanting to provide souvenirs at different price points. But after my visit to the gift store I couldn't help but reflect that many of those items in the gift store look exactly like the stuff that ends up as plastic pollution in the ocean, like something right out of one of the plastic pollution sculptures in fact. So, as a parent and as a lover of the oceans, I'm asking that you please discontinue carrying cheap plastic junk in your gift store. 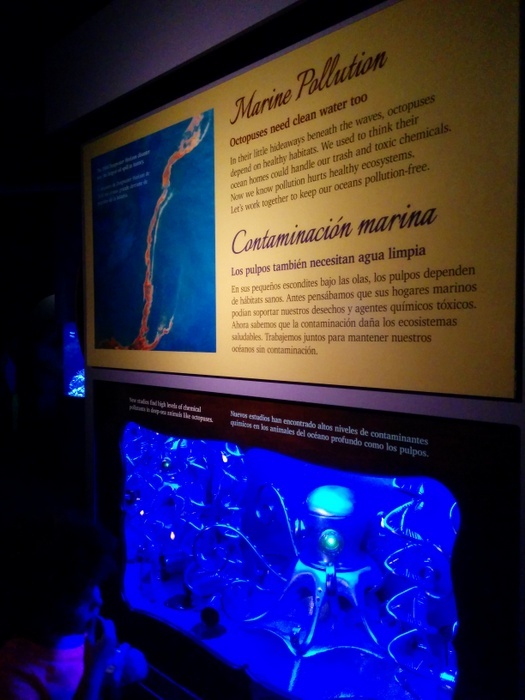 It's incongruous for me to walk through the plastic pollution exhibit with my kids explaining that this is why we avoid plastics, and especially cheap and disposable plastics, and then to have to tell them that no, we can't buy the cheap plastic toys sold in the gift store within the Aquarium. That juxtaposition sends a confusing message to adults and kids alike. Might I suggest that pencils or postcards instead serve as inexpensive options for a souvenir. 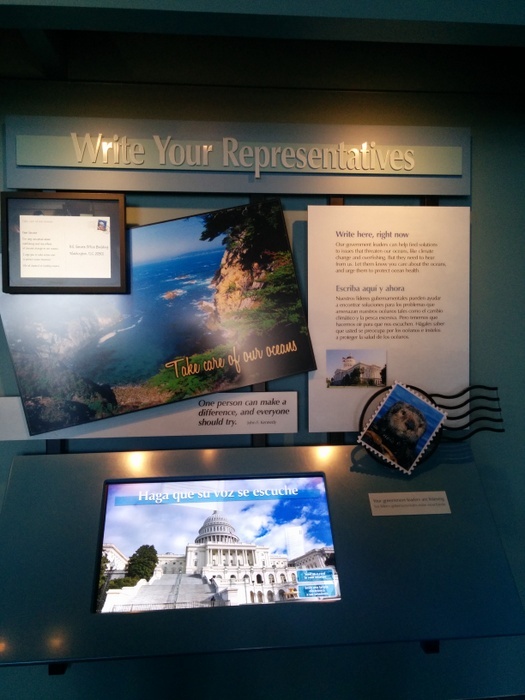 I sent a message to my representative right from this display! Thank you again for your awesome work to conserve our incredible oceans! Note: I actually had not planned to contact the Aquarium with my gripe about the gift store. But then I mentioned it to fellow blogger and plastic-free living expert Beth Terry, and she recommended I email them. 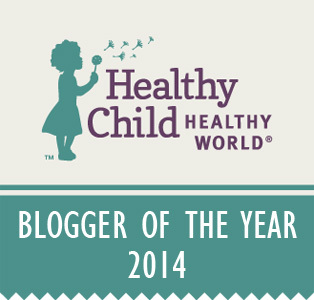 She also shared with me her blog post (worth a read!) detailing an earlier email exchange by one of her readers with the Aquarium gift store management. Thank you, Beth, for inspiring me to take action! If you visit the Aquarium, could you take a picture of the cheap plastic stuff in the gift store and email it to me? Thanks! Thank you for raising questions about products offered in the Monterey Bay Aquarium gift stores that are made from plastic, and whether carrying them contradicts our conservation message. You also raised questions about how durable some of these items are. This is a challenge our retail team faces daily as we strive to strike a balance: providing engaging, environmentally sound – and affordable – gift items for our 2 million annual that will contribute revenue as well as reinforce the Aquarium’s mission to inspire conservation of the oceans. 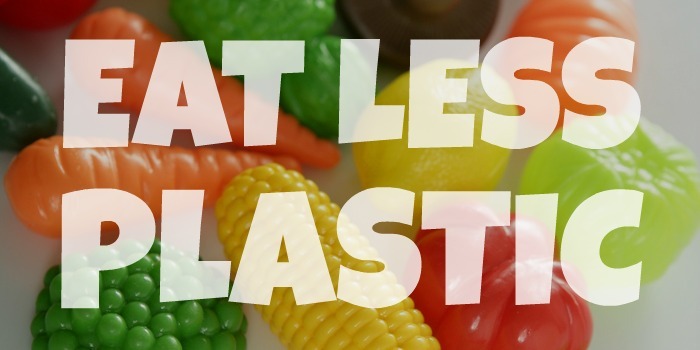 Our buying team is always looking for more items with less plastic or that are plastic-free. Though we’re driving demand and encouraging vendors to create new items, there are still limited choices for these kinds of goods. This is especially true for toys and collectibles – items that for many visitors are the most meaningful souvenirs connecting them back to their visit. Even when we find cooperative vendors and eco-friendly products, there’s no guarantee that they will sell. We’ve worked for some time with a vendor who makes toys out of recycled milk cartons from San Francisco: Green Toy Company. 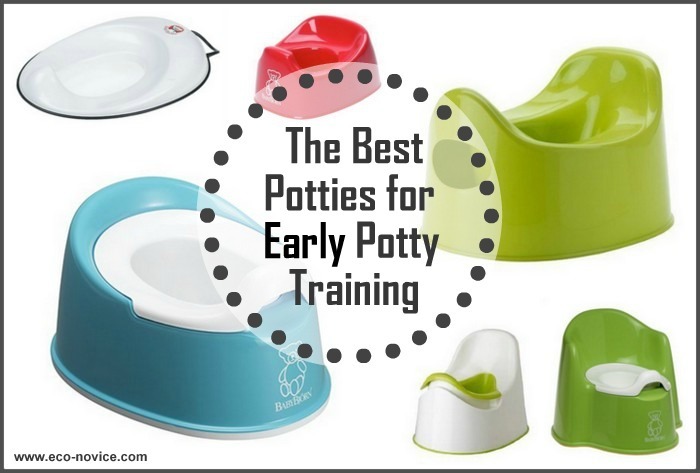 They make a superb item that I personally love for its message and for the product itself. We’ve tried twice with this vendor and are considering a third try this year in hopes they sell – but so far our guests aren’t interested. Part of the challenge is that these toys carry a premium price. While some guests understand, the majority just see the higher price, and they’re turned off. We have “Green Choices” signage for all of our eco-friendly products, and our staff promotes these items to guests. But in many cases, to my dismay, sales results have been very poor. This doesn’t mean we give up, it just means we continue to try to find options that will work. As you noted, postcards and pencils are terrific gifts and they sell well. But if they were the only choice we offered, we’d be challenged to meet our guest’s expectations. The good news is that vendors are changing their ways, and we’re beginning to see more products made using recycled materials and less plastic. We’ve partnered with a company that makes reusable glass straws (Simply Straws) and we now carry their mason jar drinking cup with a straw. We also offer keychains, magnets and pens made from recycled materials, but the selection is still limited at the moment. We have other success stories, with strong sales for a local beach-glass jewelry manufacturer, and gifts made using oil drums, wire baskets, bamboo root, and a beautifully crafted collection of recycled glassware from a vendor in Moss Landing. Our buying team works with our top vendors to create holiday ornaments from reusable fabrics, sustainably harvested wood note cards, bamboo sporks, and many other goods. I will continue to challenge them to find new products made without plastic. Beyond the products we sell, we continue to shift in our business practices so that we’re now offering recycled / recyclable paper bags, recycled paper hangers, and post-consumer pens made from recycled water bottles. We work with our suppliers to minimize plastic packaging in the shipments they send to us. 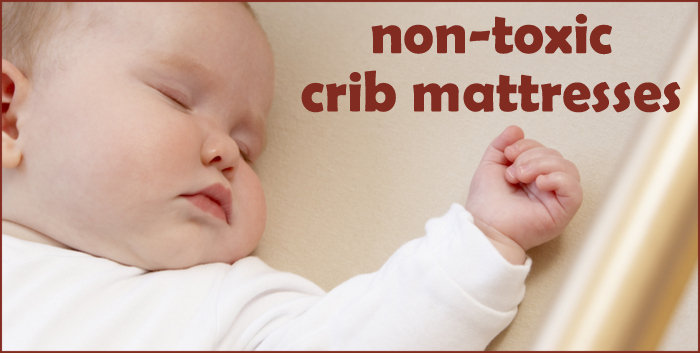 Your concerns about the quality / durability of our products. This concerns our team tremendously as we strive to offer for sale only items built to last. Before anything goes on our shelves, it’s tested and put through quality control. Our buying and retail operations teams follow up immediately with any items that may have any issues, and we remove them from our sales floor. 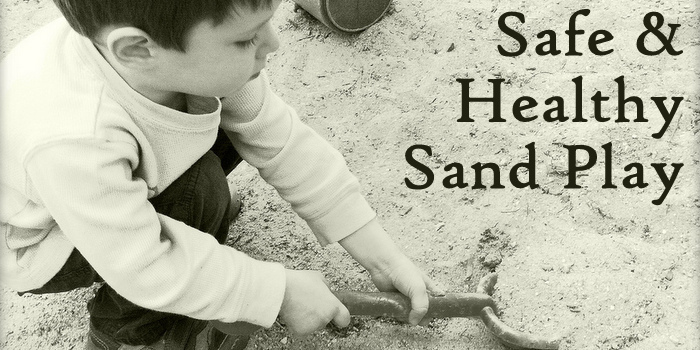 Some of the items that children play with are a challenge and we do need to find more options. We send our head buyer to five trade shows, both local and national, searching for the next best option – and we continue to have hope we will find those items. The mission of the Monterey Bay Aquarium is to inspire conservation of the oceans, as well as to educate guests on environmental and ecological concerns. Revenue from the Gift and Bookstore contributes to achieving this mission and it my job, and that of our retail team, to find product options that help us – every day – come into better and better alignment with this mission. I appreciate Mr. Fischer responding to my letter, and I am happy to hear about their efforts to incorporate more eco-friendly merchandise into the store. I am thinking over my response. What do you think of his arguments? Would fewer guests visit if their expectations for cheap merchandise in the gift store were not met (that is, if pencils and postcards were the only super inexpensive options)? Is it surprising that folks do not purchase more expensive eco-friendlier merchandise when it is displayed alongside cheaper options? What would you say? How will you take action? What business or organization could you email? This is great, Betsy! I am floored when places like the Aquarium offer the same crap in their gift stores that their displays lobby foregoing. I am hopeful that they will be responsive. I'm pretty sure this counts as activism. ;-) Go you. Thank you for doing this! I hope they listen. I hope you do receive an answer and in the reply they announce they will be removing the cheap plastic toys from the shop. I would have a similar feeling after walking through the amazing aquarium and then finding that junk in the shop. What a mixed message they are sending to their patrons. Great piece, Betsy! I was dismayed to read in Beth's piece that the aquarium's response was in 2008, so apparently, not much has changed since then. My husband and I visited the Monterey Aquarium years ago and it made a wonderful impression on us, but we didn't have kids at the time, so we didn't see the plastic toys in the gift shop. That's a big pet peeve of mine now: Cheap plastic junk, usually made in China, under deplorable conditions for the people and the planet. Definitely a mixed message to sell plastic toys at a place where ocean conservation is the main message. I agree. Sad that so little has changed. But there's always hope, right? Of course all the cheap plastic toys were made in China like you said. Way to go, Betsy! 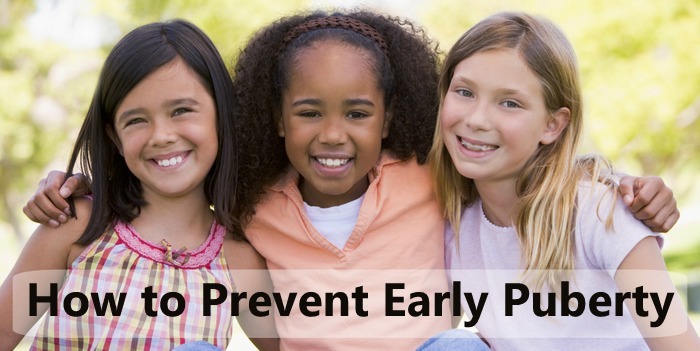 Sometimes it only takes a heartfelt conversation to make a real change. It is so hard seeing the disconnect in messaging between the exhibits and the store. I hope you get a great response! Almost every museum store I go to carries this type of cheap stuff! 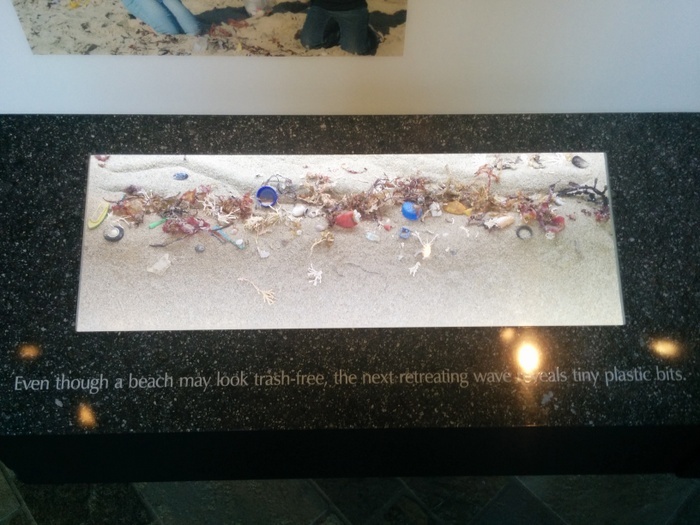 It's especially egregious when they are preaching against plastic in their exhibits. Glad you sent the complaint - hope they reply!! Why anyone buys cheap plastic crap is beyond me. 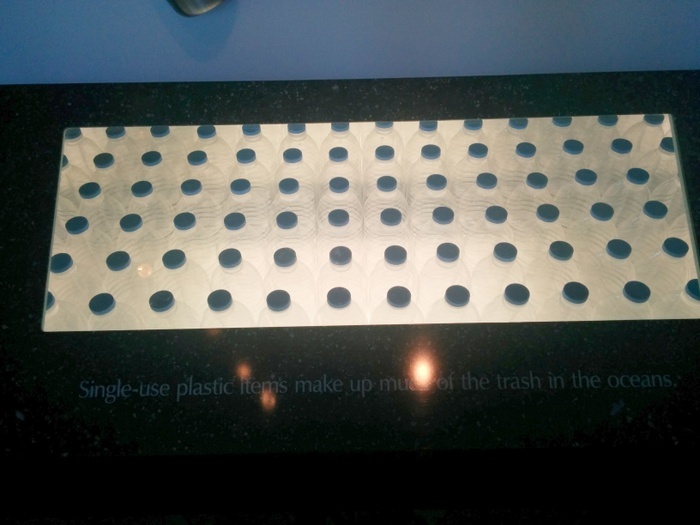 Why any museum carries this stuff---especially when they're educating people about all the plastic in the oceans (HELLO?!) is beyond ridiculous. You've raised such a great point. It's one I know I'm going to think about when visiting museums and outdoor education type centres in the future. This is a fabulous post Betsy! This is so common in museums across the country-- all with environmental missions and exhibits. I hope you hear back positively and thanks for writing this! I'm so looking forward to hearing their response. Unfortunately this seems to be a common problem. Kudos to you for addressing it. Kudos for sending them an email. I just don't get the disconnect.